Photo Courtesy of Inland American Communities Group Inc.
Construction recently began on a new student housing complex that will be located on the Northwest corner of Spring Street and 8th Street in Midtown. The housing development is currently scheduled to open in the 2015 academic year. Ambling University Development Group will administer this “Spring Street Housing” project and will construct the 19-story building, working in conjunction with Inland American Communities Group, Inc. (IAC), which will also play a role in managing the newest University House property and may have management offices in the building in order to operate the property until its full completion next year. According to What Now Atlanta, the building will have 268 units available for student occupation. There are also plans for various different amenities to be available for residential use such as a club room, study lounge, a gym, rooftop terrace, outdoor pool and management offices within the building. An estimated $48 million will be spent to build the “Spring Street Project” and its respective parking units which will include 261 parking spaces. Originally, Seven Oaks and Brookdale Group, two independent real estate companies, owned the property for this project but it was sold off in order to promote further development and commerce in the area. The housing project will be relatively close to Tech Square and the Centergy One building. While property values have risen to more expensive prices, the “Spring Street Housing Project” has been seen as an investment to Midtown Atlanta. The addition will add 7,000 beds to the student housing nationwide that IAC currently manages. 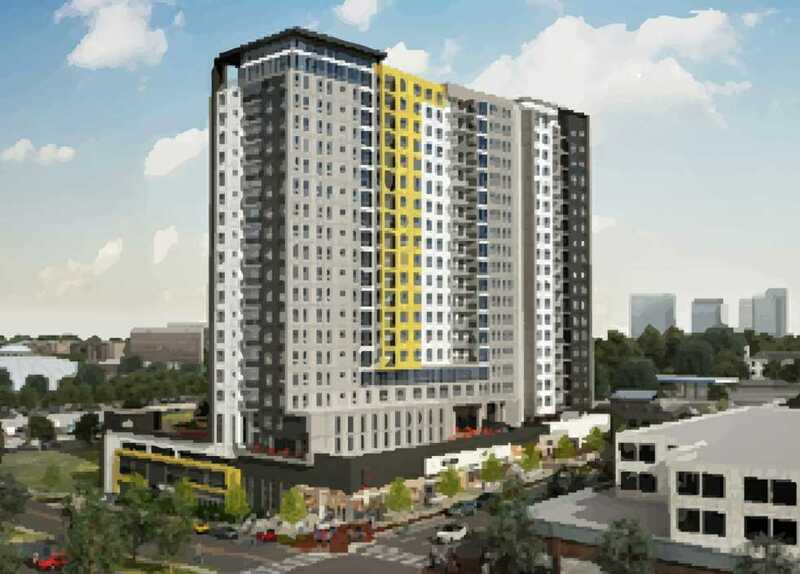 While the new building project has been disputed by part of the Midtown community, many students on the Tech campus are interested in the new housing project and feel that it offers a safer option for off-campus housing. Ambling executives say that students from local Atlanta schools are fueling the demand for new and affordable off-campus housing. The company is looking to expand further when more similar spaces open up.